Bennett was SO nervous that first day back to school a week to the day he had surgery to remove his colostomy. As he rounded the corner to enter the classroom, he pushed his hair to the side with his palm and whispered to me, "do I look good?" My mama heart could hardly handle his first grade innocence. "You look great," I whispered to him as he entered the classroom to classmates who nearly jumped out of their seats in excitement to welcome him back to school. I felt choked up. 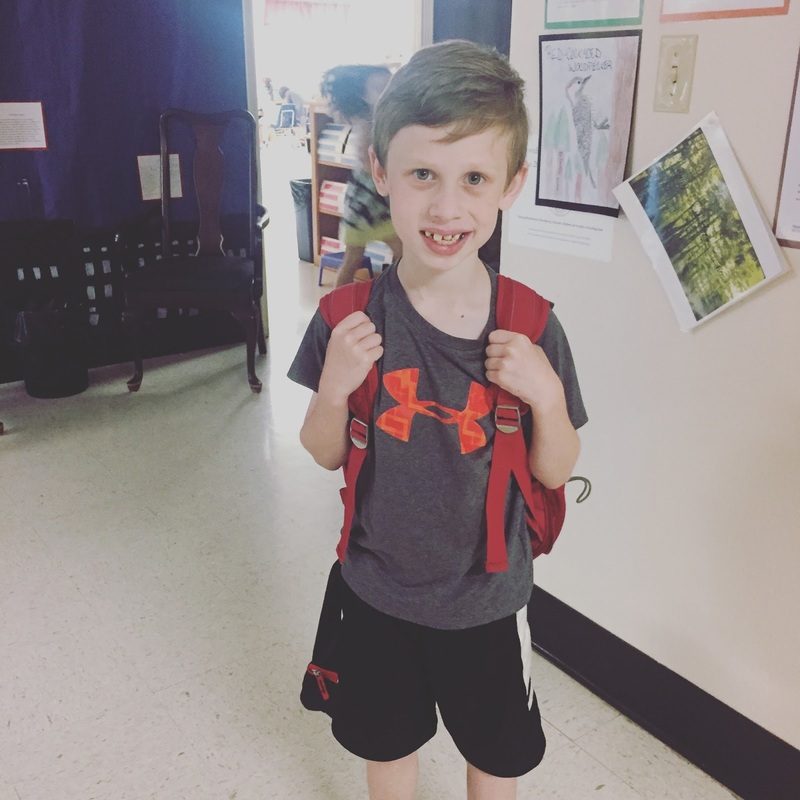 Bennett wasn't focused on the tragedy of what he had missed at school, this, his first grade year, due to complications of his inherited disease. Bennett was focused on more typical things, like whether or not his elementary friends would approve of how he looked. How grateful I was for "normal" in that moment. Bennett's first day of school after being out for 10 weeks due to medical issues. Bennett has now been in school for more than a week and his teachers report he is doing well His classroom time is no longer being interrupted by having to go to the bathroom. And his ability to learn seems to have increased. I tutor Bennett at home for his dyslexia and I noticed this week that his reading fluency has surpassed anything he had ever demonstrated in our work before. Just last night, Bennett walked up to me and said, "Mom, I know my days of the week." This may not seem like a big deal for a first grader. But for Bennett it is. Memorizing sequences of information that aren't particularly relevant can be challenging when you have dyslexia. For that reason, the days of the week have been something Bennett has seemed unable to memorize, despite my many efforts to teach them to him using songs and games. Last night, without any prompting, Bennett just spit out the days of the week in order (!!). Bennett's face demonstrated he was almost as confused over his success as I was. I could hardly believe it. I pelted him with questions: how'd you do that? when did you learn to do that? did you work on that today at school? did somebody just teach them to you?? He answered negative to all my questions and kept shrugging his shoulders, "I don't know. I just know them now." It's like they had been in there, all jumbled up, this whole time and finally they just lined up for him. Children grow physically and intellectually asynchronously. But, even in my role as an educator, I have never seen asynchronous intellectual growth like I have witnessed with Bennett this last week. Brian said it best: "resilience comes with a cost." While Bennett has been very resilient this last year, much of his energy has had to go to healing his body. Now that he's GI issues have been repaired and his body has been healed, it certainly seems body's energy has moved towards growing his intellect. I fully believe that what he's missed out on academically these last few years will be gain in the coming year (barring any new crisis). Along these same lines, I am hopeful that his body can now start rapidly gaining weight. We know that CF has already begun the process of deteriorating his lungs. We want to give him the greatest chance of success by giving him the strongest lungs possible. A CF child's job is to grow strong lungs. Weight gain is necessary for that. Bennett is being given up to 3 formula cans through feeding tube a day, 45ml of Liquigen fat and encouraged to eat a high-fat, high-calorie diet. It takes a lot of resources to keep him on this regimen daily, in addition to giving him breathing treatments every morning and every night. But seeing him thrive for the first time in a long time is a huge motivator to keep up this hard work. I am so proud of how Bennett is doing. We are looking forward to celebrating Bennett's fight against CF with his CF Walk in Waco next Saturday, May 6th at 9:30-11am at Poage Park. For those who want to come out and celebrate with us, please wear green and join us!! There will be another CF Walk in St. Louis on the same day (Thank you Kelly for heading it up!). And there will be two other Walks in Dallas on May 13 (Thank you Lani!) and Raleigh on May 20 (Thank you Cynthia!). How lucky we are to have people beyond Waco who care so much for our boy! 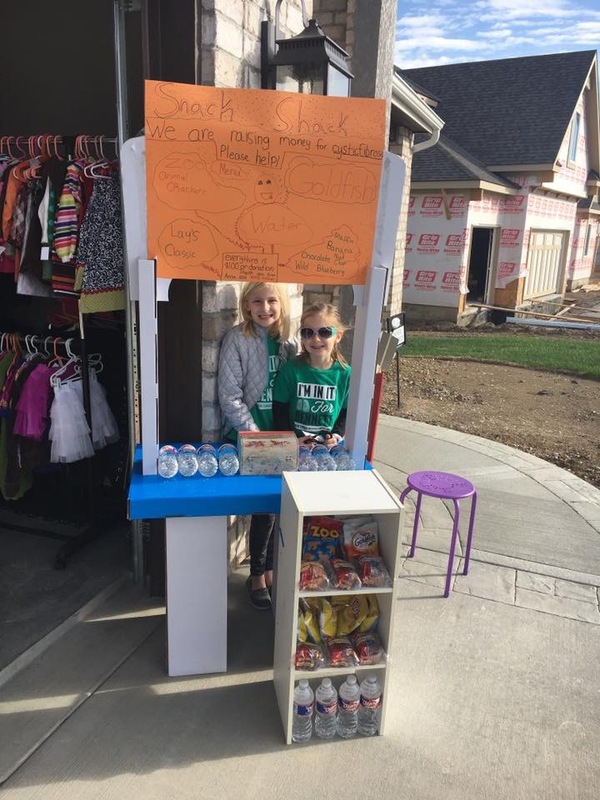 Thank you to Anna and Betty, our dear friends from Kansas City, for raising money to support Bennett in his fight against cystic fibrosis. For those who aren't able to come out but want to support helping us find Bennett a cure, consider donating to the Cystic Fibrosis Foundation in Bennett's honor: http://fightcf.cff.org/goto/bennettsbrigade. Thank you to all those who continue to walk through this journey with us - we celebrate the gift that you are to our family! So nice to read such an uplifting post. So happy Bennett is doing so well and back at school where he belongs.